Our children really do say it all: Gaby in Year 3 commented, " I also like school dinners because they are really yummy and Helen is really kind because she has to do two hundred meals and she does a super job at it!" Another year three commented: Our school dinners are the best dinners EVER in the world! 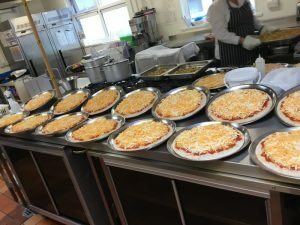 School meals at East Bierley are very popular! The food served is delicious and the children have firm favourites - ask any of them. Two-course school meals are available for all pupils as a cost of £2.20* per day. 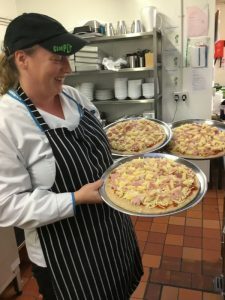 At East Bierley Primary we offer a choice of menu and meet the National Nutritional Standards. Modified diets can be provided if supported by an approved diet sheet. 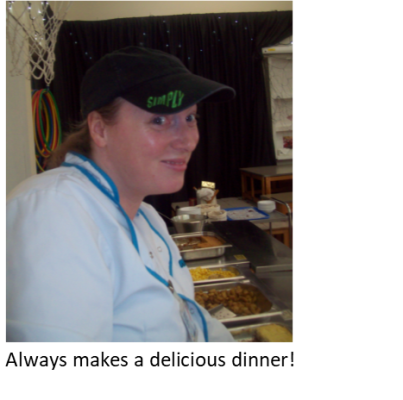 Experiencing school dinners -which are taken by most children and many staff - is best described by them. If your child does not have Free School Meals, but may be eligible because of your family’s income level, please contact the office (in confidence) to register them. Even if you do not wish them to have the meals, this would mean the school could still claim Pupil Premium funding that is used to help your child. School meals must be paid for using our online Parent Pay system. To find out more about Parent Pay, click here. Children may bring a packed lunch which are eaten in the main hall. Packed lunches should be in a secure named container. No sweets are allowed – instead, we encourage lots of fruit or vegetables. Water is available on all tables for children who choose a packed lunch. However, your child can bring their own drink in a non-breakable container – please avoid fizzy drinks. *Details correct at 1 September 2018.